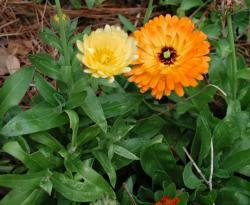 Description: Hardy annual thrives in the cooler temperatures of spring and fall. Bears bright daisylike flowers, 1 to 3 inches across, on carefree 8- to 30-inch plants. Planting: Start seed indoors 4 to 6 weeks before the average frost-free date; transplant 4-week-old seedlings outdoors. Or, sow seed directly in the garden as soon as soil can be worked in spring. Thin to 10 to 12 inches apart. Site: Full sun; try partial shade in hottest areas. Loam soil amended with compost. Tip: In hot climates, sow seed in late summer to early fall for bloom in fall or early next spring. Try heat-resistant cultivars such as ‘Pacific Beauty’.